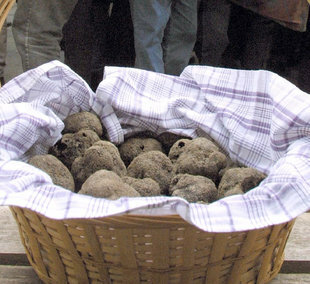 Capital of truffles. January 25 to 27 In January, Vic will become the capital of truffles, with the second edition of its Trufforum festival, for professionals and enthusiasts. On offer will be a market with producers from home and broad, and talks, demos, and tasting sessions. www.vicfires.cat. Archive. Garrigues olive oil fair. 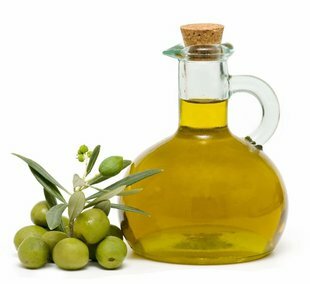 January 18 to 21 Les Borges Blanques is Catalonia’s olive oil capital, and for 55 years has celebrated the Fira de les Garrigues, in which oil is the main protagonist. The fair includes over 5,000 square metres of xhibitors and olive oil producers. www.firaoli.cat Archive. 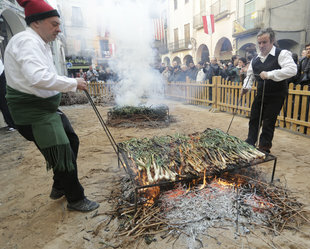 Celebrating calçots. January 27 The new year brings with it calçot season. 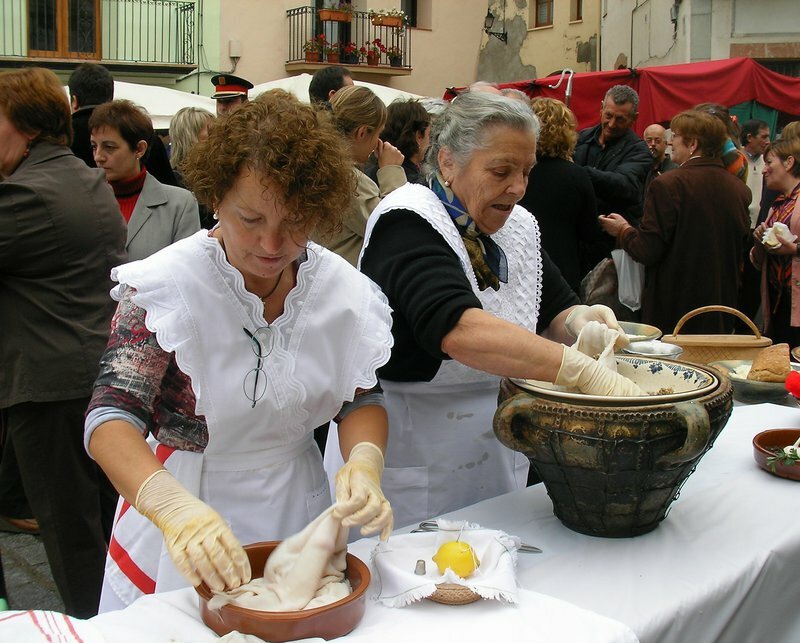 The capital of the shallot-like vegetable is the town of alls, which on January 27 will celebrate the local speciality on its streets, with parades, cooking demonstrations, a contest for cultivators and, the highlight, the annual calçot eating competition. www.valls.cat. Archive. Saint Sebastian festival. January 19 to 21 Food is one of the main stars of Pont de Suert’s annual festival devoted to Sant Sebastiá. In fact, it kicks off on January 19 with a communal dinner, with more in the following days, featuring such raditional dishes as sopa de pa, potes de corder and girella. www.elpontdesuert.com. Archive. A month of sea urchins. 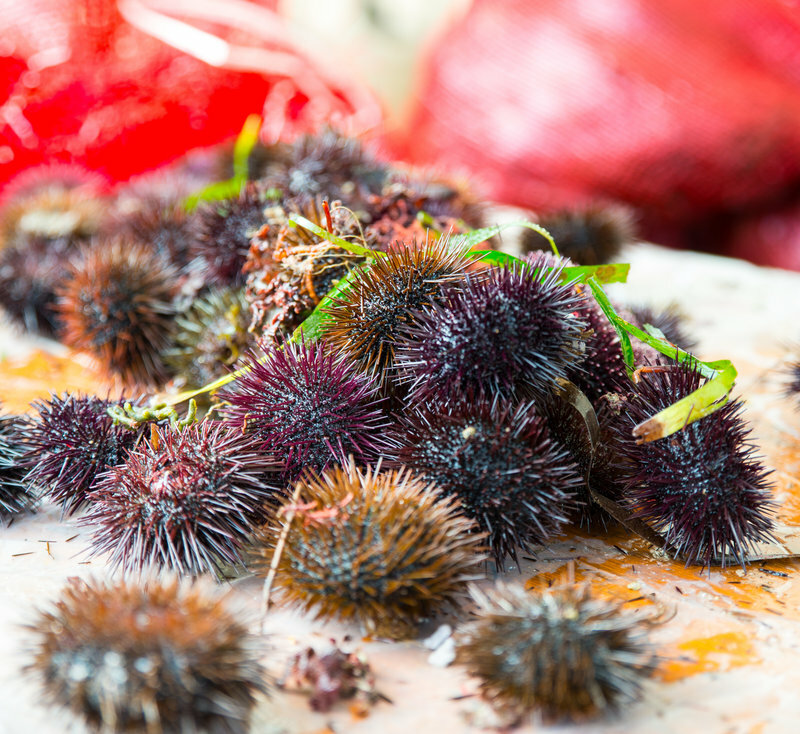 All month (and into February) Edible sea urchins are the stars of January in Sant Feliu de Guíxols, where they are called uriços. 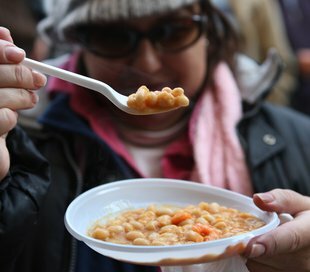 All January the seaside town is running the campaign, Temps d’Uriços, with 19 local restaurants to promote the delicacy. www.guixols.cat Archive. Santa Pau’s bean fair. 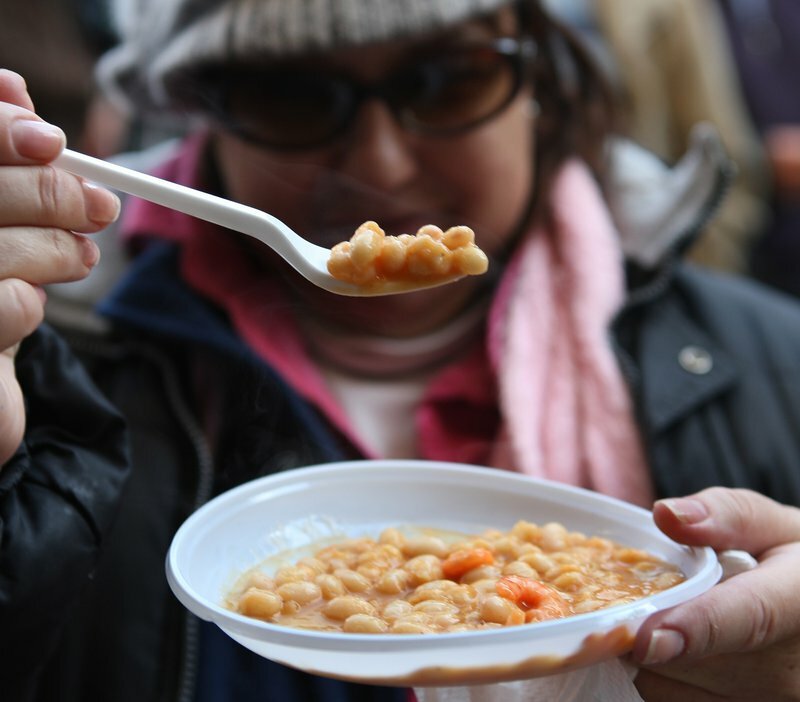 January 20 Fesols, or green beans, are the focus of Santa Pau’s annual fair devoted to Sant Antoni. On January 20, apart from being able to taste and buy the local variety, visitors can also get to know a whole range of beans from all over. www.santapau.cat. Archive.